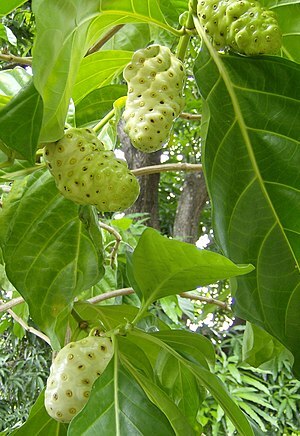 If you are one of those who say, “What’s in a name”, read this… I was eager to know about an uncommon fruit NONI that my friend was researching on. The cartons labelled “Divine Noni” in a juice shop only kindled my curiosity further. Surfed the Net to gather more info about it – was glad to know that it claimed to offer an endless list of health benefits. But my happiness persisted only till I found that the fruit had as awful a name as “VOMIT FRUIT”. This was not music to my ears and my effervescing enthusiasm fizzled out. I would never again say, “What’s in a name” … Though it is just an identity, it is always nice to hear something pleasant for a name. Posted in Exotic Fruits, Fruits and tagged Morinda citrifolia, Noni, Vomit fruit. Bookmark the permalink.